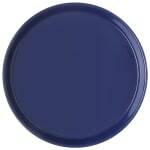 The Carlisle 130060 serving tray has a cobalt-blue finish to provide establishments with a pop of color. 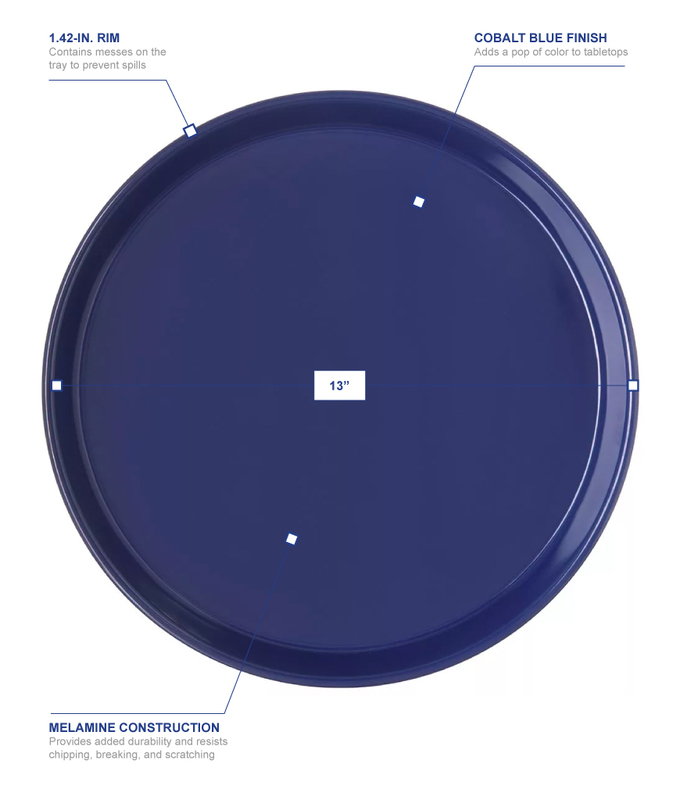 Since the tray has a 13-inch diameter, it can be used for bar service or to serve individual meals like burgers, sandwiches, and seafood platters. To help prevent spills and contain messes, the tray has a 1.42-inch rim. Since it is made of melamine, the Carlisle 130060 bar tray is resistant to chipping, breaking, and scratching. This material is dishwasher safe but will chip and peel in the microwave.